For generations of United Methodists, the annual church charge conference had a reputation as a rather stiff, business-filled necessity. But for at least two districts in the Great Plains Conference this year, charge conferences became a place for learning, fellowship and celebration. 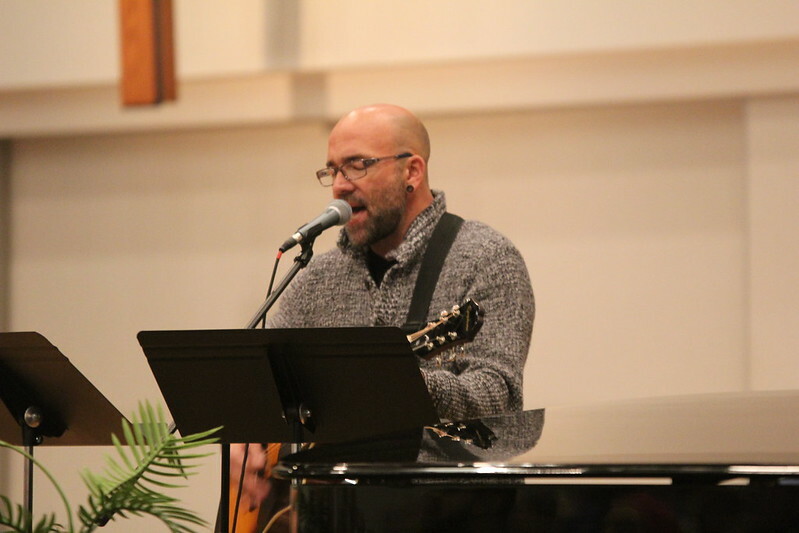 The Kansas City District conducted its missional charge conference Nov. 12 at Grace United Methodist Church in Olathe. The Salina District-wide charge conference was conducted Nov. 19 at First United Methodist Church in Concordia. The Kansas City event included seven different workshops for lay leaders, church council chairpersons, trustee chairs, finance chairs, communications staff and volunteers, and pastors. “By and large, the people that I talked to really appreciated those,” Emmert said. Those who didn’t fall into any of those categories were invited for a conversation with Bishop Ruben Saenz Jr. about his desire to make more disciples in the two-state area. Bishop Saenz also delivered the sermon at both of the district events, using the San Antonio Spurs professional basketball team as an illustration of how an emphasis on teamwork can pay big dividends. About 275 people from the 30-plus charges in the Kansas City District attended. At the Salina District gathering, nearly 400 people representing 62 churches were in attendance. The Rev. Dee Williamston, Salina District superintendent, said she was pleased with the two-hour plus charge conference. At Concordia, a worship service was immediately followed by the business meeting, which included approval of candidates for ordination. The two-hour event included several videos, produced by the conference communications team, of mission work and unique events for several of the churches in the Salina District. Williamston said the Salina charge conference would be a one-time event, encouraging churches to combine into networks next year, where she will visit and preach. Emmert said he is undecided if the Kansas City District will continue its charge conference into a second year. “I think the overall experience was quite strong for people – very uplifting,” he said.